When I came to New York, I had $60 in my pocket and three suitcases to my name. I slept on the toilet at Port Authority with my feet up so no one would see me. After a few weeks, I found a job as a factory seamstress in Brooklyn. When that wasn’t enough to live on, I got a second job as a waitress. Finally, I rented a room for $8 a week. When I shut off the light, the roaches were my only company. I was determined to make it on my own. My loneliness was short lived. I met my partner, Gladys in a bar called Bonnie & Clyde’s, which is fitting. She only spoke Spanish, but we made it work. That was 42 years ago. Now she has Alzheimer’s, and I am her primary caregiver. I feed, bathe and dress her. She doesn’t know a phone from a book at this point. But she lights up every time I walk in the room. 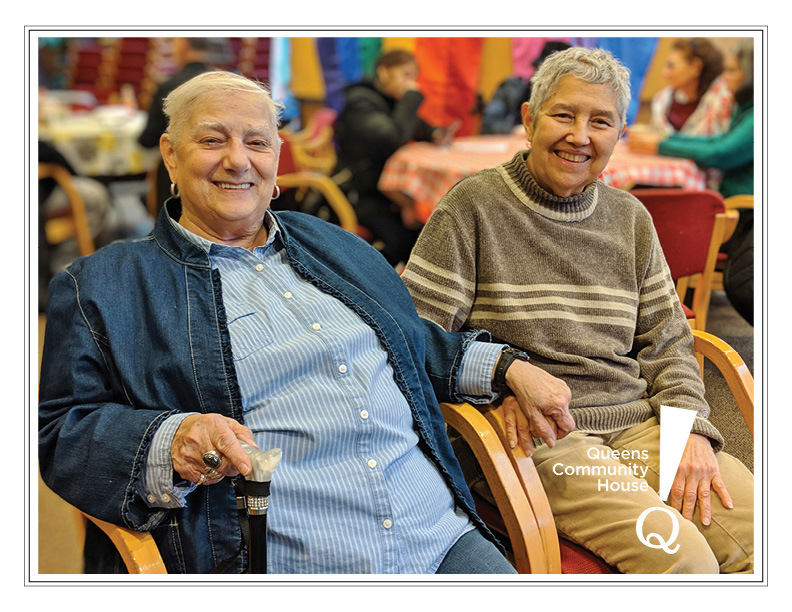 Queens Center for Gay Seniors is our home. I couldn’t function without it. I come here with Gladys to eat lunch, take part in the programs and see friends we’ve known for years. On Fridays I lead Dirty Bingo, which gives people a kick. It’s always just been the two of us, so the group here is our family.